Season the pork shoulder with salt, pepper, fennel and cumin. 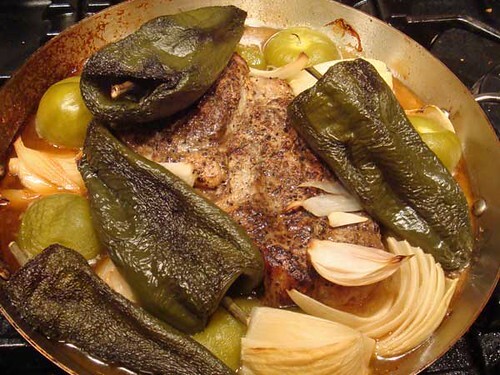 Take a large roasting dish and place over medium-high heat. Add some olive oil and sear pork shoulder all over until golden brown on the outside, 3 to 4 minutes per side. 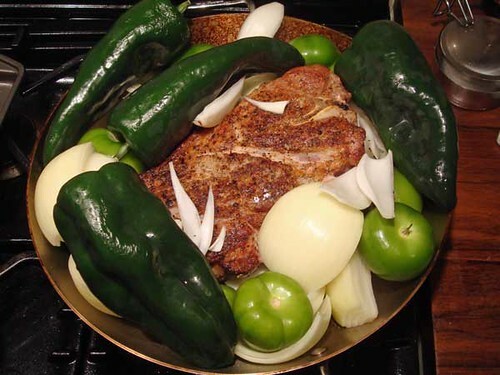 Add vegetables, spreading out tomatillos, poblanos, jalapeno, onion, garlic and bay leaf around the seared pork shoulder. Drizzle with olive oil, squeeze lime juice all over and season with salt and pepper. Cover the whole tray with aluminum foil and roast in the oven for 2 to 2 1/2 hours until the pork is falling apart. Remove from oven, set the pork aside and pull apart. Rake all the other ingredients into a blender (a bit at a time) with the fresh cilantro and process until smooth. 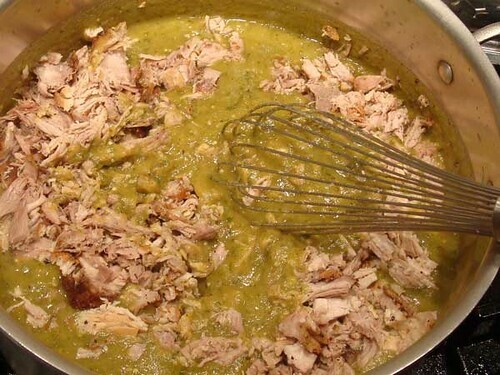 Pour into a large Dutch oven. Set over medium heat and add chicken stock. Bring to a simmer and whisk in masa harina to thicken the sauce up. Fold in shredded pork shoulder and season with salt and pepper to finish.